Roy Jowett AV is one of Lancashire’s leading Home Cinema and Hi-Fi specialists. Optoma is already a best-in-class manufacturer. The HD91 continues that enviable position. It has great performance right out the box and will make any AV enthusiast smile, but there’s even more performance on tap. I calibrated the Jowett’s demo projector using the comprehensive Colour Management System. Customers can see the ‘before and after’ results for themselves. The difference is impressive. Seasoned calibration professionals such as me have the equipment and knowledge to use these features and extract every last ounce of performance. It helps turn a great performer into an exceptional one. "When I saw the demonstration, the projector image quality was absolutely jaw dropping and far exceeded my expectations. What a machine! I ordered the projector then and there! I literally plugged it in and it was ready to play. It was up and running in minutes with the image quality as sharp as when I viewed it in the shop. The operating system menu is very easy and straight forward to navigate." Задача: Avid film-buff, Mr Henry, wanted a new projector that produces the perfect natural colours the film directors intended and, ideally, could use the same fittings as his previous projector. Решение: Mr Henry visited Colne-based home cinema specialist, Roy Jowett to preview the HD91 projector and ordered this then and there. Mr Ged Henry, a cinema enthusiast from Lancashire needed a replacement projector after his Sim2 home cinema projector stopped working. Mr Henry has been an enthusiastic home cinema owner since the early days when he installed a CRT type projector. These early machines were bulky and difficult to set up. He later changed this to a smaller, ceiling-mounted DLP projector, Sim2, for his 7m x 3m home cinema room. This recently failed and needed to be replaced. An avid film-buff, Mr Henry needed a new projector that produces perfect natural colours as the film directors intended and, ideally, could use the same fittings as his previous projector. 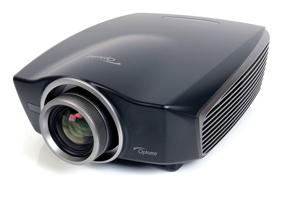 Having read an article on the latest innovation for home projection - the new Optoma HD91 - Mr Henry visited Colne-based home cinema specialist, Roy Jowett, where he was able to see a preview of the projector in both 2D and 3D at the shop’s demo room. This full HD 3D 1080p projector harnesses the latest LED technology. This has a number of benefits including significant energy saving, almost silent operation and exceptional installation flexibility. The LED technology also offers consistent brightness and colour performance, with minimal degradation. This means the HD91 will maintain its out-of-the-box image quality without the need for expensive lamp changes or re-calibration throughout its lifetime. The HD91 incorporates the next generation of frame-interpolation processing - PureMotion4™. This gives advanced motion control processing eliminating motion blurring and image judder, even in high-speed action sequences and 3D modes. Its PureColour™ provides balanced colours for vibrant, vivid and natural images. This works in conjunction with an independent Colour Management System giving precise control of the colour reproduction. Deep Colour makes it possible for the HD91 to reproduce billions of colours ensuring smooth tonal transitions and subtle graduations between hues. The projector features DLP® technology from Texas instruments which uses millions of tiny mirrors to maximise the available light output and high contrast while completely eliminating crosstalk. This provides a new level of 3D experience with virtually zero rainbow and crosstalk artefacts. Mr Henry installed the projector himself and the HD91 slotted straight into the existing fittings. The combination of lens shift and a wide 1.9x zoom range provides flexibility for installation. This combination makes it easier to position the projector in the viewing room and allows a wider range of screen size options. And because the LEDs produce less heat and need less cooling, the projector is quieter and can be installed closer to walls, ceilings or within cabinets. The light weight (7kg) and compact size of the HD91 simplifies installation further. Mr Henry said: “I literally plugged it in and it was ready to play. It was up and running in minutes with the image quality as sharp as when I viewed it in the shop. The picture quality was unbelievable. The operating system menu is very easy and straightforward to navigate. 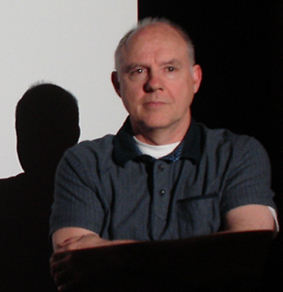 “I watch a lot of cinema and had to replace the bulbs in my previous projector regularly. These also made the projector hot and noisy. When I first saw the article on the HD91, I must admit to being a little sceptical on the idea. But with the machine installed, LED is definitely the way forward. “And the price point at £3,000 is probably the best value for money you can get on a projector of this quality. “Believe me, the picture quality is already stunning straight out of the box, however, I would still recommend expert calibration. The vivid and crystal clear images were given an even more cinematic feel and a more natural colour rendition." Chris Frost from Lucid A.V. calibrated the projector to suit the lighting conditions in the room and the distance from projector to screen which is important to balance the brightness and colour on the screen. The sound system was also adjusted to complete the installation. The HD91 comes equipped with a full colour management system, allowing installers to choose from five preset colour gamuts (Native, Adobe, DLP-C, HDTV and SMPTE-C), six colour temperatures (D50, D65, D83, D93 and Native) or alternatively, they can fine tune intensity and x/y co-ordinates of primary and secondary colours for ultimate calibration precision. " Lucid A.V. calibrated the HD91 perfectly to the D65 using the intensity and x/y co-ordinate controls, and then provided the customer with a ‘before’ and ‘after’ written report. This is helpful if the projector calibration settings are lost as they can be easily re-installed by the user. Mr Henry said: “The picture quality has to be seen to be believed. Skin tones are perfectly natural – just as the film director intended. It looks like the actors are actually in the room. Fully-rechargeable wireless 3D glasses have been developed in parallel with the HD91. These are optimised to provide higher contrast and brighter images than ever before, while eliminating any issues of emitter placement, limited range and potential interference commonly experienced when using Infra-red. Mr Henry said: “We charged up the 3D Glasses, connected the emitter to the system. They are so easy to use and set up and they worked flawlessly. “The glasses are pure quality, forget the rolla cola versions. The family tried them out with a 3D film (Gravity) and you could see them move and duck as bits of space debris flew out of the screen. “The glasses are extremely light and best of all they fit over my normal glasses like dream. Optoma HD91 projector, OPPO BDP-103EU Blu-ray player, Denon AVR-3806, KEF speakers, Sony PS3.